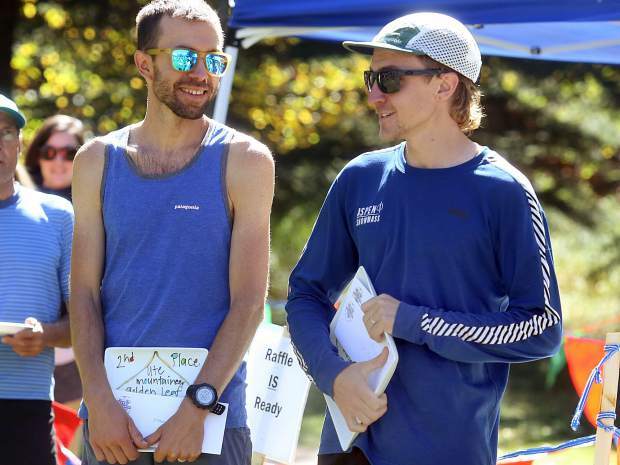 Race winner Joseph DeMoor, right, and runner-up Galen Burrell chat during the awards presentation following Saturday's 2018 Golden Leaf Half Marathon at Koch Park in Aspen. 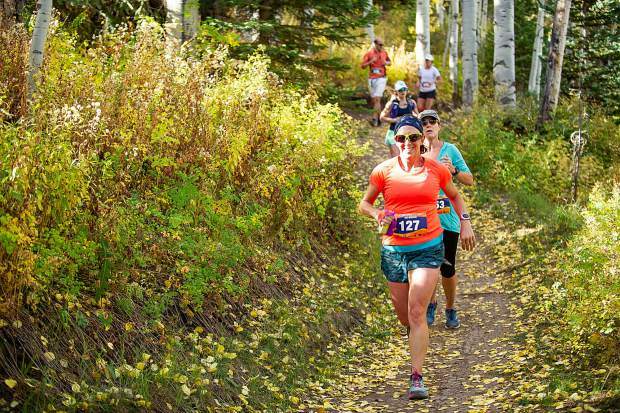 Boulder resident Jessie Michaud in the Golden Leaf Half Marathon on Saturday around milemarker 4 on the Government Trail in Snowmass. 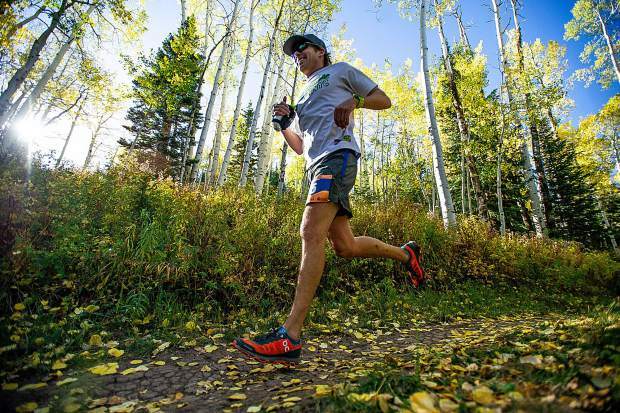 Boulder resident Will McLanahan in the Golden Leaf Half Marathon on Saturday around milemarker 4 on the Government Trail in Snowmass. 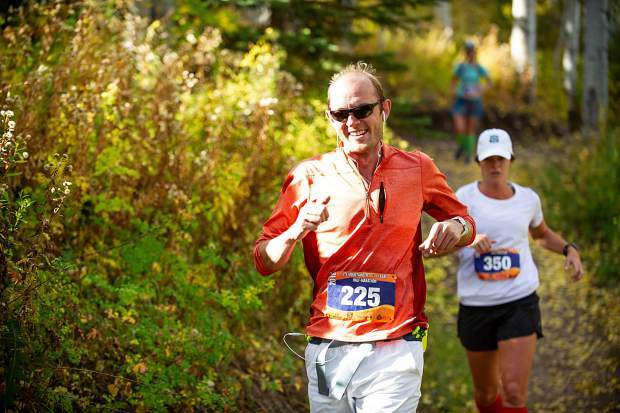 Racers in the Golden Leaf Half Marathon on Saturday around milemarker 4 on the Government Trail in Snowmass. 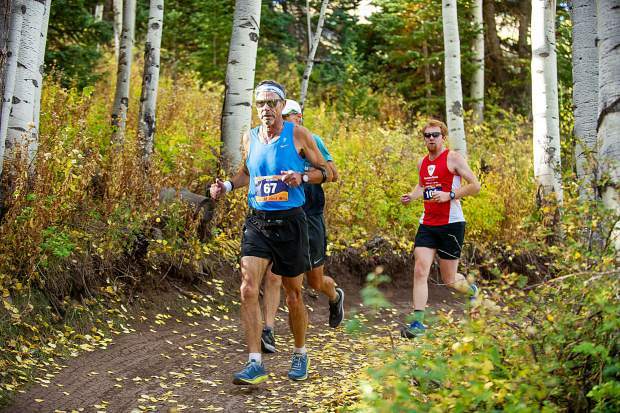 Denver resident Beau Hoffman in the Golden Leaf Half Marathon on Saturday around milemarker 4 on the Government Trail in Snowmass. 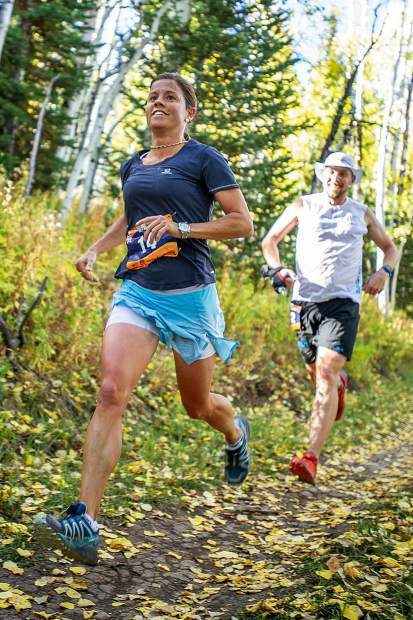 Vail resident Marina Egorov in the Golden Leaf Half Marathon on Saturday around milemarker 4 on the Government Trail in Snowmass. 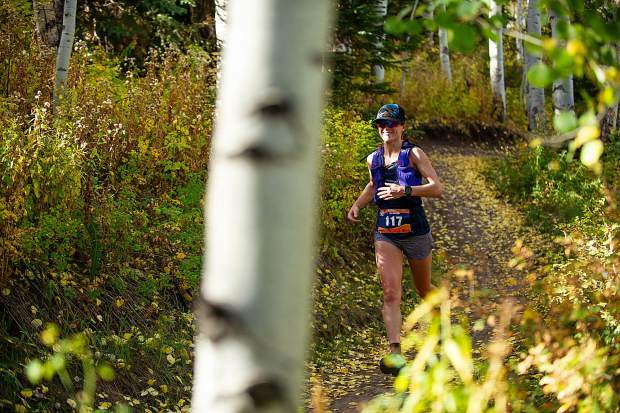 Stevie Kremer of Crested Butte took women''s first place in the Golden Leaf Half Marathon on Saturday. 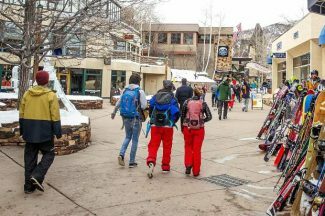 Kremer is seen here around milemarker 4 on the Government Trail in Snowmass. 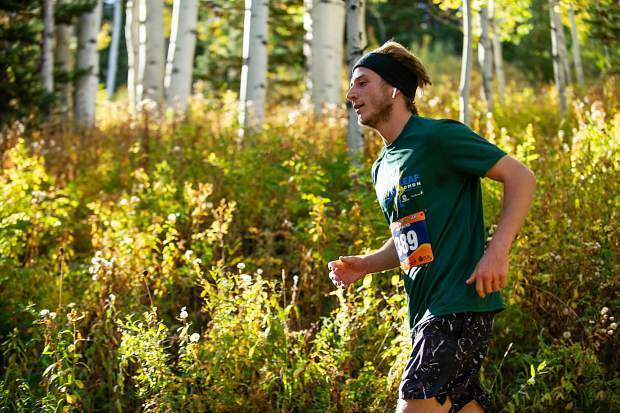 Denver resident Ben Kurtz in the Golden Leaf Half Marathon on Saturday around milemarker 4 on the Government Trail in Snowmass. Boulder resident Hannah Billings in the Golden Leaf Half Marathon on Saturday around milemarker 4 on the Government Trail in Snowmass. 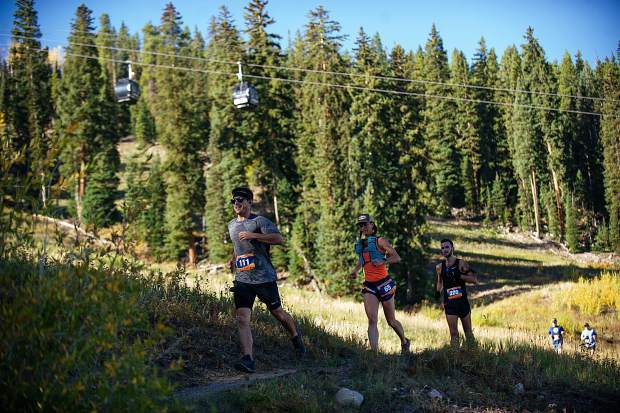 Carbondale’s Joseph DeMoor didn’t have the luxury of taking it easy over the final stretch of Saturday’s annual Golden Leaf Half Marathon, a backcountry trail run from Snowmass to Aspen. Not when he had two people within a minute of him. Nonetheless, DeMoor held on to win the popular race with a time of 1 hour, 26 minutes, 2 seconds, only 22 seconds ahead of runner-up Galen Burrell of Louisville, Colorado. In third with a time of 1:26:51 was David Glennon of Boulder. “I was definitely looking over my shoulder a little bit. He was right behind me the whole race, so it kept it competitive,” DeMoor said of Burrell. 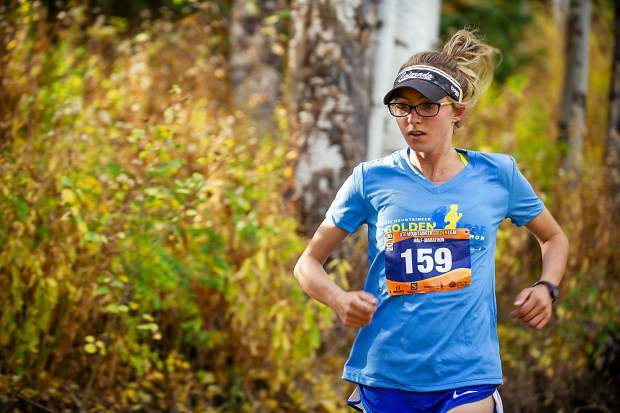 DeMoor, who grew up in Buena Vista and ran cross country for the University of Colorado in Boulder, was competing in the Golden Leaf for the first time. He’s lived in the Roaring Fork Valley for about three years. 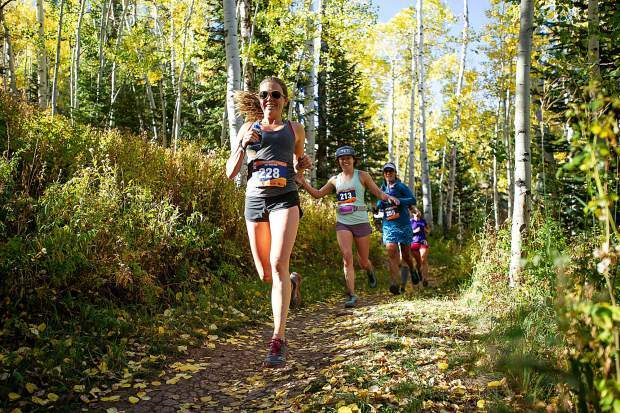 Taking the women’s half marathon on Saturday was Crested Butte’s Stevie Kremer, long an icon in the sport. This was her record seventh win in the Golden Leaf, her last win coming in 2015. The 2016 race was canceled and Kremer did not compete in 2017. Kremer finished in 1:39:39, well ahead of women’s runner-up Kim Baugh of Colorado Springs, who had a time of 1:48:01. In third with a time of 1:48:47 was Lindsey Knast of Philadelphia. Complete results can be found at http://www.sportstats.us. For most, the Golden Leaf signifies an end to the local summer running season — the first official day of fall was Saturday — paving the way for colder weather.